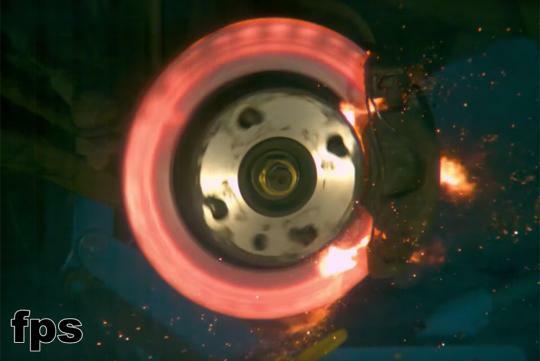 Wonder how it looks like when a car's disc brake fails? Someone from Finland has managed to film one in slow motion. Looks pretty awesome to us! To destroy the disc brake, the youtuber jacked up the front of his 1990 Ford Fiesta, removed the right side of the wheel and floored the throttle while keeping his foot on the brake pedal. It didnt take long before the disc heats up, causing sparks and flames to start spewing out of the caliper. I think the guy forgot to buy brake pads. Sparks often occur when metal grind metal. So no count. Got to retake.